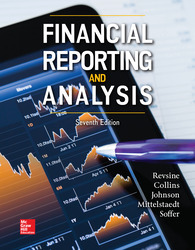 * This program emphasizes both the process of financial reporting and the analysis of financial statements. * The authors train their readers to be good financial detectives by enabling them to read, use, and interpret the statements. Most importantly, FR&A helps students understand how and why managers can utilize the flexibility in GAAP to adapt the numbers for their own purposes.